The Hungarian Harvest Dance is a tradition that has been celebrated in Hungarian Settlement for nearly 100 years. The festivities were widely celebrated to admire the culture and history of the Hungarian or Magyar people. 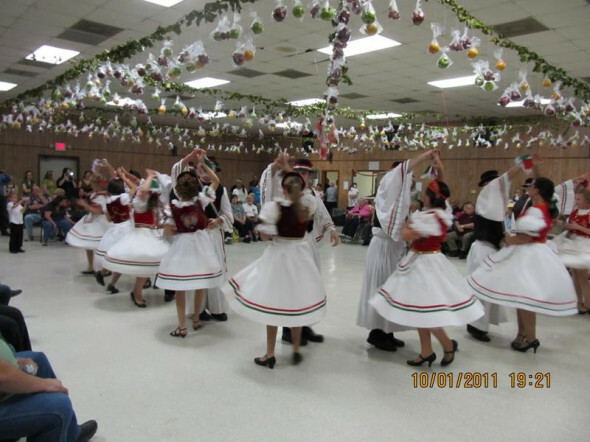 The Hungarian Harvest dance continues every year on the first Saturday of October and is sponsored by the AHSCHA and located at the American Legion Hall on Louisiana Highway 43. Each year, this joyous celebration relives the traditions of the Hungarian ancestors, utilizing traditional costumes, authentic dances and lively folk music. It is located in the restored Hungarian Settlement school, and is dedicated to the historical preservation of the Hungarian community in Albany, Louisiana. In the late 1800s, Hungarian settlers began to move from the harsh industrial environments of the North and East United States to a more desirable and familiar agricultural environment. Our photo gallery features both historic and recent photos that illustrate the rich history and culture of South Louisiana’s Hungarian settlers. Also includes photos of our museum renovation.